So I was going to write about how we marked the Columbus day* holiday with a visit to both the Neue Galerie** and a special exhibition at the Met***, and then go on to describe an impromptu night at the opera****, but recent wanderings around our neighbourhood gave me a much more entertaining idea. 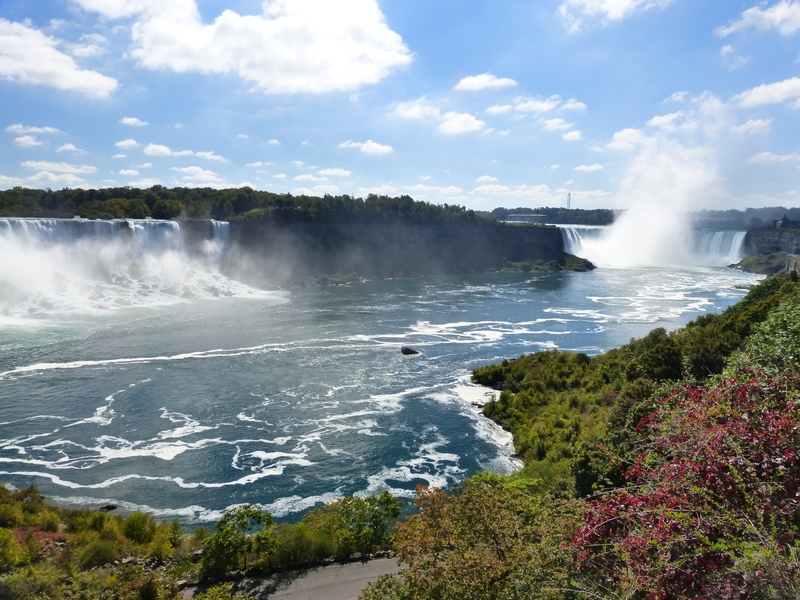 Niagara Falls has been high on our must-see list since we arrived in the US, particularly since we discovered that part of it is actually in New York state. However, as seems to be the way of things here, getting there via public transport was looking both expensive and time-consuming, and I didn’t fancy spending 7+ hours driving each way, so we settled on flying up to Toronto for a long weekend and driving a mere 130km to reach the Falls. 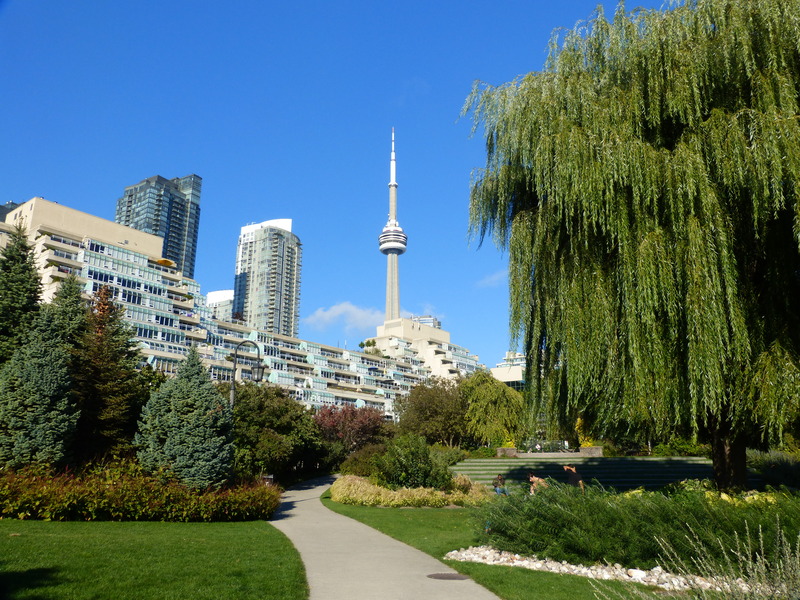 Much of our time in the city was spent wandering around, and the weather was warm and sunny for the whole weekend so it was extremely pleasant to be out and about (although naturally we’d packed for cooler weather so didn’t appreciate this as much as we might have done). 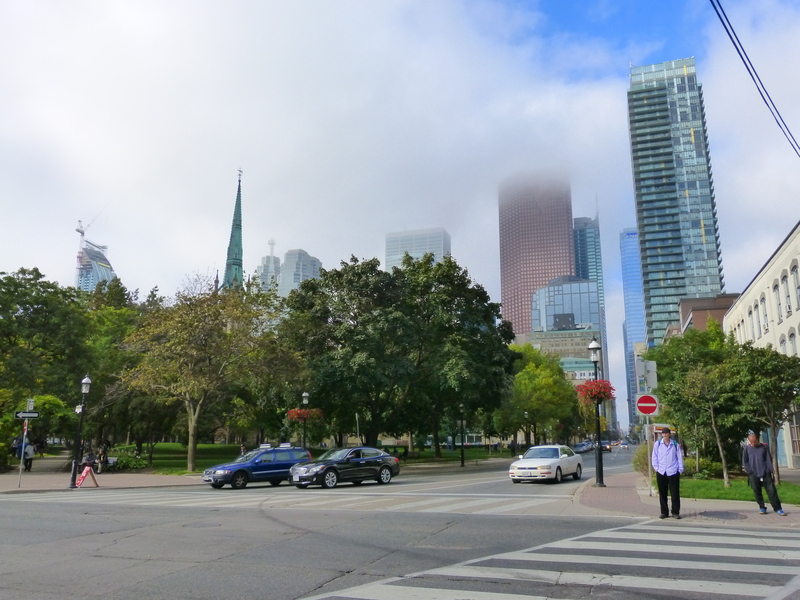 Toronto is organised on a grid system but the streets and avenues all have names – this made navigating on foot a little confusing. Driving was also somewhat less straightforward than it could have been as many of the intersections don’t allow left or right turns, plus I was a bit reluctant to brave a left turn in any case, but at least the grid helped us to know whether we were travelling in the correct direction or not! 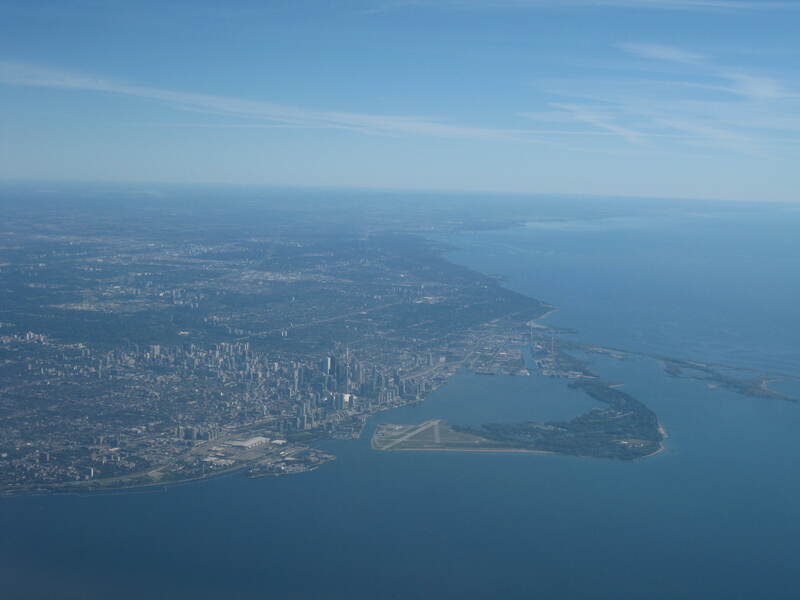 Generally Torontonians were laid-back and polite, but for some reason all bets were off when driving on the expressways, where undertaking, pulling out into non-existent spaces and other such blood-pressure-raising behaviour seemed to prevail. 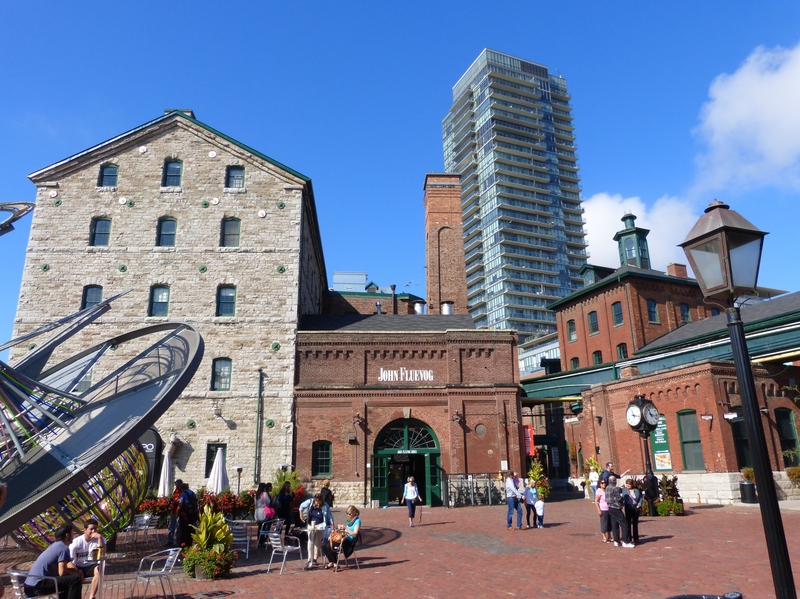 Our favourite part of town was the historic distillery district, where a group of lovely old buildings have been sensitively restored and filled with a wonderful collection of artists’ studios and galleries, quirky little boutiques, great-looking pubs, cafes and the amazing Soma chocolate shop. We also enjoyed browsing the fabulous foodstuffs on offer at the St Lawrence market, and the Camden/Brixton vibe of Kensington market. Our brief visit to the extensive underground shopping mall (aka the PATH) was a rather strange experience as we walked through part of it on Saturday morning when most of the shops were shut. It did make navigating the financial district easier though, as we simply passed beneath it all. The waterfront was extremely pleasant, with views across to the islands, interesting decking and attractive gardens. 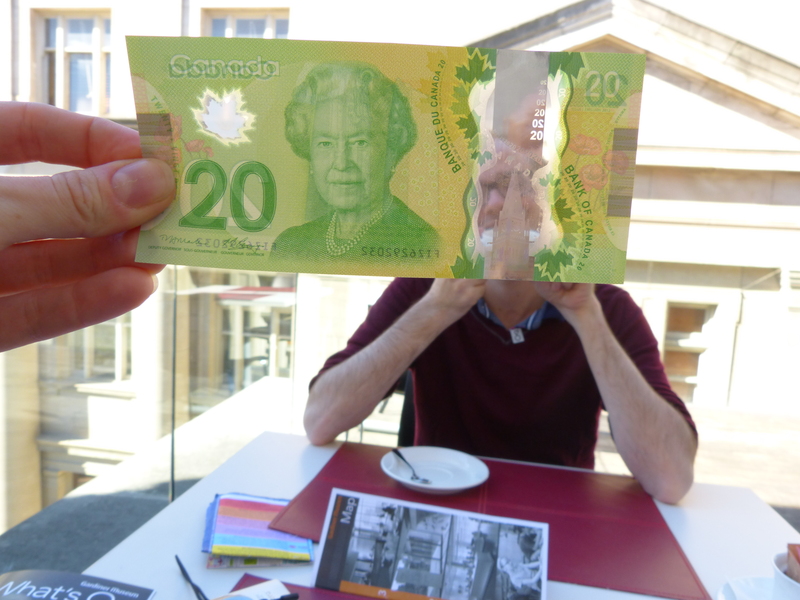 Rather than visit any of the major museums we decided to check out some of the smaller collections, so went to the Gardiner museum of ceramics, the Bata shoe museum and the museum of Inuit art. 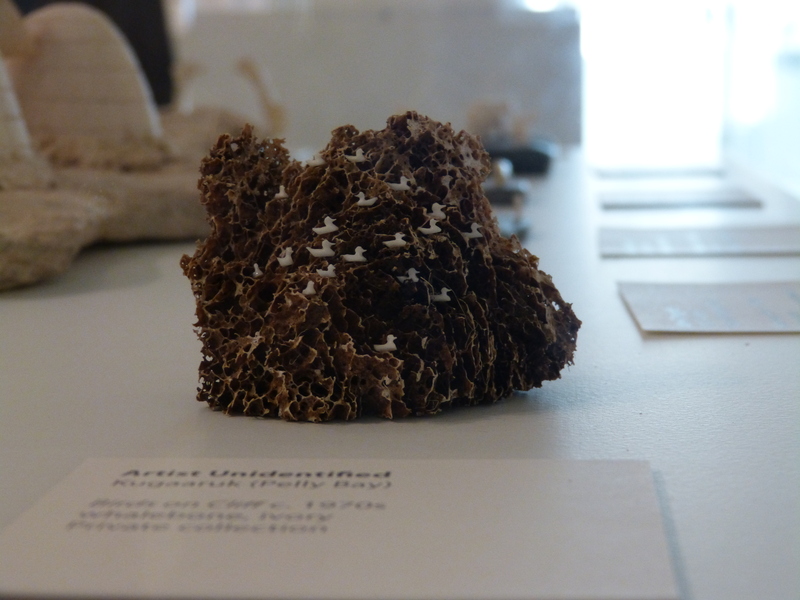 The Gardiner Museum is based on the donation of Mr & Mrs Gardiner, who amassed a significant (if somewhat random) collection comprising both delicate European porcelain and much more rugged examples of ceramic art from around the world. It seemed a little odd to find such contrasting tastes in the same place, but certainly made for an interesting viewing experience. 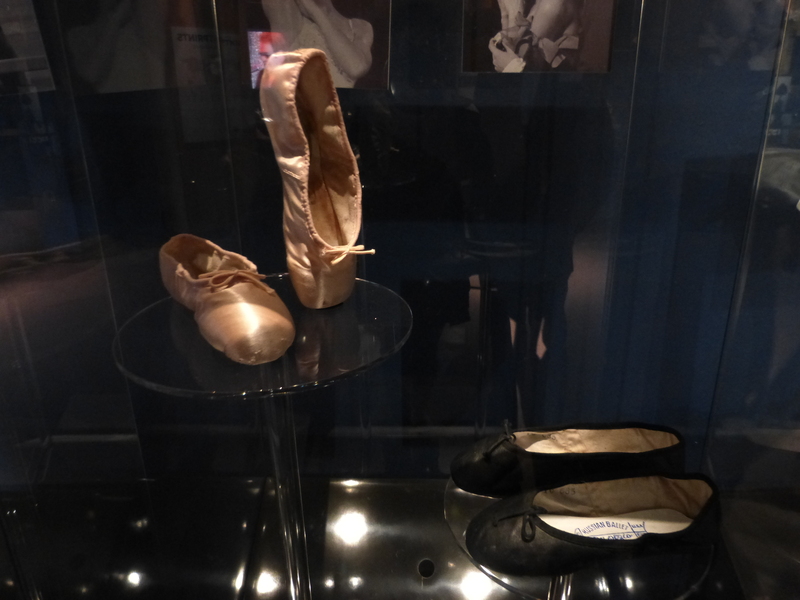 The Bata collection charts the development of human footwear since the earliest found specimens to the present day, with examples from all over the world, and also has a collection of shoes that once belonged to famous people (including these ballet shoes worn by Fonteyn & Nureyev). The Museum of Inuit Art was in the middle of a major reorganisation, so it was all a bit chaotic, but there was enough to see to at least get a sense of things. We were interested to learn that much Inuit artwork is comparatively recent, and largely produced for consumption by a non-Inuit audience as their lifestyle and the availability of resources don’t exactly encourage the creation and collection of pieces for themselves. 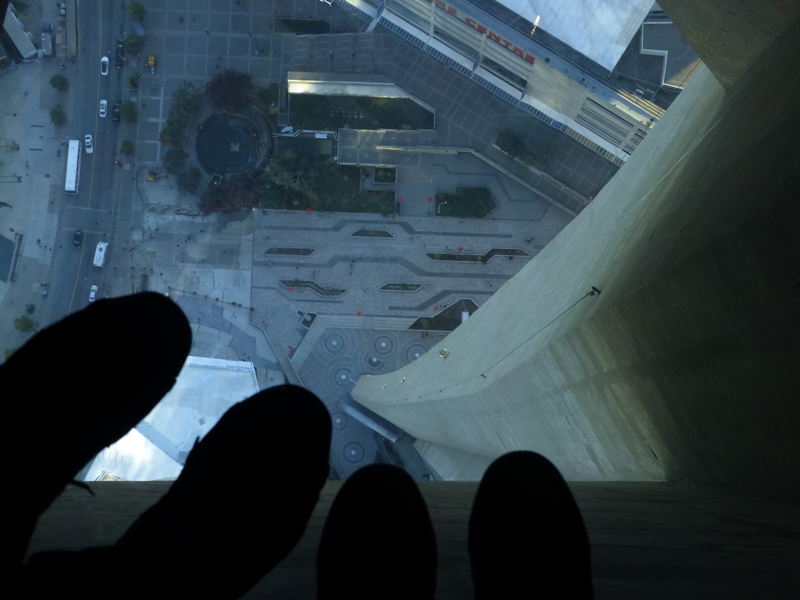 Other than Niagara Falls, the most touristy attraction we visited was the CN tower. I’m still not entirely sure it was worth the cost of admission (even though we spent over 2 hours up there watching the sunset), as the viewing areas are just so high. Granted you can see for miles, but I think I prefer the sort of tower where you are only just above the other buildings so can appreciate the vantage point properly. The glass-sided lifts were much more fun than I was expecting, rather like take-off in a small aeroplane, but the section of glass flooring was completely terrifying! Toronto is a very foodie city, and we appreciated the wide availability of gluten free options. The Kensington Cornerstone was a particular find – we ended up ordering 3 desserts at dinner as we couldn’t decide between them (pecan pie, cherry Danish and butter tart, in case you were wondering) and then went back the next morning for brunch (the best cinnamon raisin french toast I’ve ever had!). I was also delighted by the plethora of Indian restaurants as good curry is not so easy to find in NYC, and we celebrated my birthday with a delicious meal at Little India. And now (finally) to the main event. 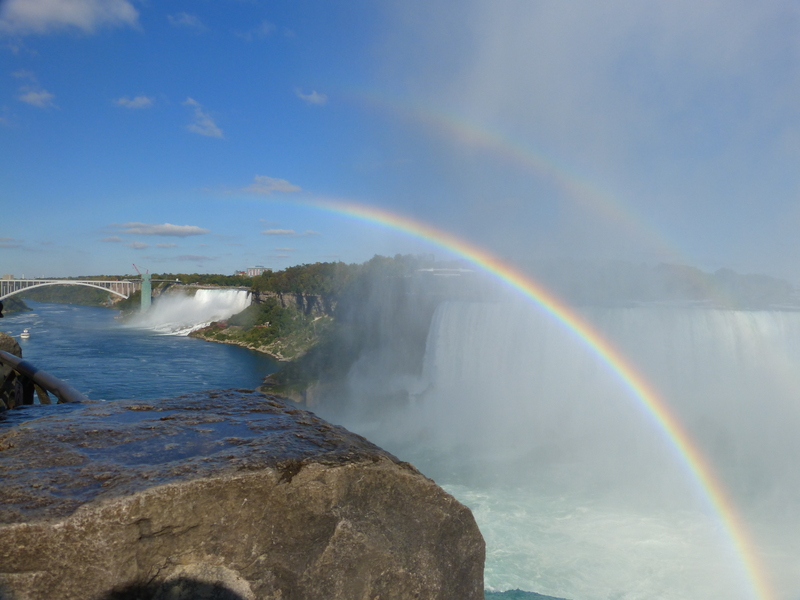 Given that we’d planned the whole weekend around a visit to Niagara Falls, it was probably just as well that we were both completely impressed by them, and we spent a long time just watching the water pouring over the edge. 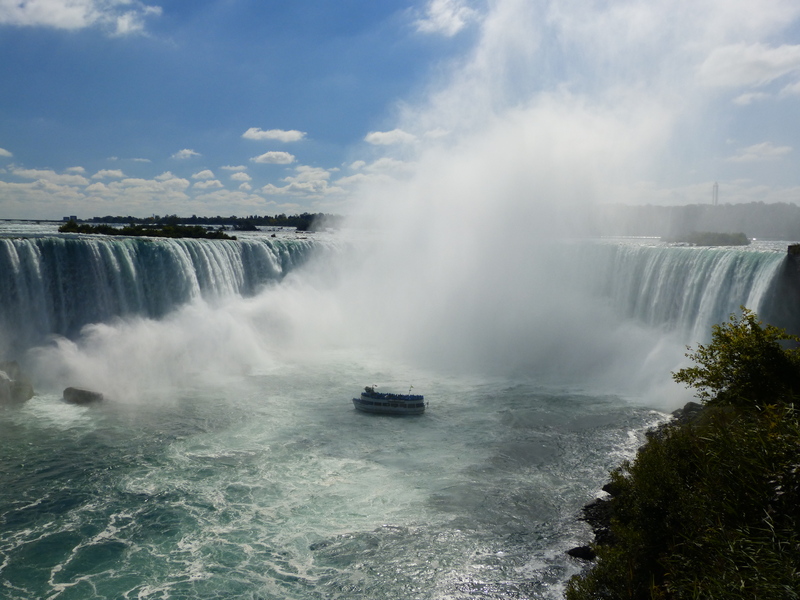 The viewpoints on the Canadian side allow you to get really close to the edge of the Horseshoe falls, as well as providing some great panoramas of all 3 falls from further along. We ended up taking one of the Maid of the Mist boat trips, which was a fantastic experience (despite the sensation of being caught in a particularly intense and chilly rainstorm!). Sadly our plan for the afternoon then went a little astray as we decided to walk along to see the whirlpool further along the Niagara gorge (rather than taking advantage of having a car for once and driving there). Unfortunately this was much further away than the park maps implied, and when we finally got there the pool wasn’t actually whirling after all, so by the time we got back to the main viewpoint there was just time to take a few last photos before heading back to Toronto. Looking on the bright side the light was much better by that stage in the day, and we saw a beautiful double rainbow, so it wasn’t all bad! P.S. Just in case you feel I haven’t included enough photos here (and given that we took around 500 I’ve really been very restrained) there are plenty more in my Flickr album for the trip. As regular readers may recall we’ve recently treated ourselves to a new camera, and whilst we completely failed to take advantage of most of its capabilities (other than the panorama mode) it takes nice pictures without much input from us. We’re planning a trip to the Grand Canyon next year, so the pressure is on to improve our photography skills accordingly!